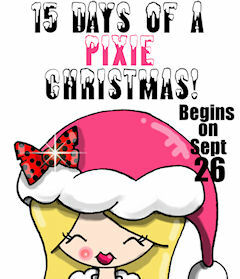 in hopes that St. Nicholas soon will be here..."
Filling up the stockings is one of Pixie's most favorite things to do! What do you add to your Christmas stockings??? S is for "Stocking full of Max"